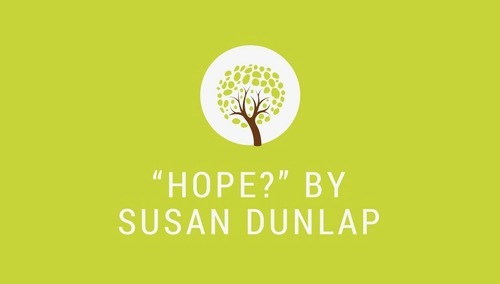 You are invited to join the Stephen Ministers on Monday, May 21, at 7:00 p.m. at Church of Reconciliation (110 N. Elliott Rd., Chapel Hill) for the following session on hope by Susan Dunlap. At times people who offer pastoral care wonder how to offer hope in situations that, in reality, probably won’t get better. We offer a sustaining presence during those times, but how do we offer hope? What does hope look like in circumstances that won’t change for the better? We as people of faith are also a hopeful people, and as pastoral caregivers, it can be difficult to know how to be bearers of that hope. This session will offer a discussion of Biblical basis of hope and ways to be a hopeful, as well as sustaining, presence. We will consider case studies and ways that each of us has experienced a hope for God’s future. Susan J. Dunlap teaches classes at Duke Divinity School and works as a volunteer chaplain at Urban Ministries of Durham. The session is sponsored by UPC and Church of Reconciliation Stephen Ministry.